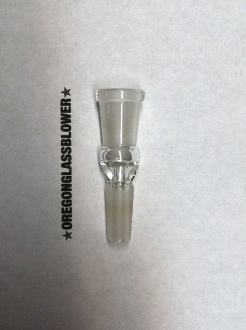 10mm Male to 10mm Female Glass Adapter. Works great as an insulator for nails. Avoid cracking your oil rig. These are all handblown by me here in Oregon. High quality fittings and annealed for strength. If you don’t see the adapter you need just ask and I will let you know if it is something I can customize for you.